Summer is right around the corner and many libraries are gearing up for this year’s Summer Reading Programs. If you’re looking for ways that your library can add a little tech to this year’s summer reading program activities, here are 8 quick tips and tricks. Teens can create Vine videos discussing the books they’ve read. Vine videos can be created using a mobile phone or tablet device and are easy to create, very brief (6second) film clips – the perfect length for a short book review/recommendation! These could be created using teens own devices or the library’s and can be shared on the library’s Facebook and Twitter accounts. Not only can the library set up Pinterest boards featuring summer reading titles and related events such as upcoming book discussions, etc. but teens could set up their own boards highlighting the books they’re reading. Pins could include biographical pins about historical or other figures mentioned in the book, films based on the book, other books similar to the one they’re reading, etc. Libraries such as the Baltimore County Public Library are creating online Summer Reading programs on websites such as GoodReads for their patrons to take part in. The BCPL Summer Reading Program group has over 400 active members and encourages each participant to post book reviews to the site. The group supports discussion boards, polls, photos, videos, and event creation. Traditionally summer reading programs have incorporated mainly print titles, but why not take this opportunity to introduce eBooks to those who may never have used them before? If your library subscribes to the OverDrive or other eBook service, you might offer instructional sessions as a part of your summer reading program and encourage participants to read at least one of their books in eBook format. 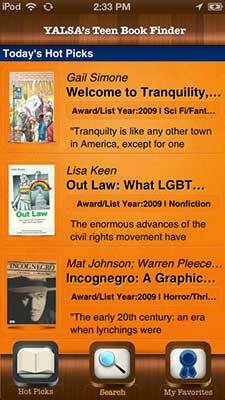 Plan for summer reading-related book discussion groups in the library but also online using websites such as GoodReads, Shelfari and LibraryThing to add another element to your program. It may be more convenient and comfortable for many readers to take part in online conversations vs. those in the library. Libraries can think about offering technology-related prizes that encourage reading such as the Amazon Kindle for participants who read the most books. The Baltimore County Public Library is doing just that for this year’s Summer Reading Program. Can’t afford the technology you want to use for your Summer Reading Program? Apply for a grant. Each year the ALSC/Baker & Taylor Summer Reading Grant offers $3,000 in financial assistance to a library with outstanding program development. And YALSA, the Young Adult Library Services Association offers $1,000 to 20 libraries to help them purchase resources to bolster their teen summer reading programs. There are many reading-related apps out there that kids and teens could use in tandem with their summer reading activities. 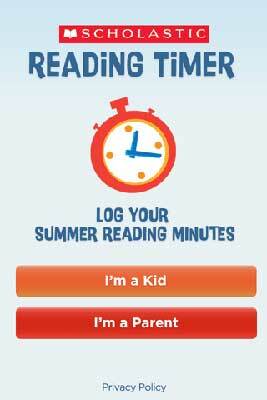 For example, Scholastic’s Reading Timer app encourages reading every day and most importantly, makes it fun! The app allows users to time reading minutes with an interactive stopwatch and track minutes on a weekly log. Also YALSA’s Teen Book Finder app published by the American Library Association will find the best books and media for teens, as selected by library staff and educators across the United States!